As we have previously let you know, two bills have been gut-and-amended to deal with Dual Agency in the State of California and are currently in the Assembly Judiciary Committee. One of the bills deals directly with residential disclosure issues related to the California Supreme Court case knows as Horiike. The other bill is using the cover of that court case to ban the common practice altogether in the commercial setting at the behest of a tenant only brokerage firm. AB 1626 (Irwin)Dual Agency Disclosures is a measure sponsored by the Realtors. 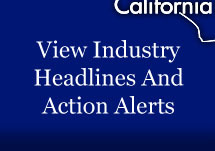 AB 1059 (Gonzalez Fletcher) Bans Dual Agency is a measure sponsored by a tenant-rep brokerage firm. The Realtors have an effort at reform with AB 1626 to deal with issues the court raised for residential transactions noted in the Horiike case. We are very concerned with AB 1059 as it would have a negative impact on the commercial real estate industry and is not actually addressing issues related to Horiike as it is confined to commercial transactions. AB 1059 appears to be using the court decision as a pretext to pursue a pre-existing agenda that would codify a particular business model and discomfit competitors (and upend an entire industry in the process).